Continuing my look at the 2012 postseason awards, here’s my take on the Rookie of the Year award. AL–Mike Trout will win and should win this award. If you don’t know why, you aren’t paying attention. NL–I have no idea who will really win this award. I have my choice as to who should win it, but I’m not confident about who will win it. It appears to come down to four candidates: Todd Frazier, Bryce Harper, Wade Miley, and Wilin Rosario. Frazier had a good season, especially when Joey Votto went down, but his late season numbers were way down and voters tend to remember the last thing they saw. Harper had all the press early. He was the phenom of phenoms. He played with emotion, he played with style. What he didn’t do was have the phenom of phenoms year. I have a feeling that will hurt him. I also think the Strasburg mess will hurt him because it took the spotlight off Harper and put it somewhere else. That’s never a good thing if you’re trying to win an award. Miley is the pitcher in the mix. He became the ace at Arizona and piled up 16 wins (tied for sixth in the NL) with a 3.33 ERA. Rosario had a great year power-wise, hitting 28 home runs and putting up 71 RBIs, both of which led our rookie candidates. Unfortunately he did most of that damage in Coors Field and that’s not going to win him a lot of support. Voters don’t seem to take seriously anything that happens in Coors Field. Further, he’s a catcher, and not much of one. My personal choice for RoY is Miley and I wouldn’t be surprised if the voters favoring the hitters split their votes and Miley slipped in to win. But my guess is that ultimately Harper will win, if for no other reason than his team had the best overall record. The playing part of the 2012 season is now over and congratulations are in order to the Giants. We now begin the second part of the season, the awards and honors section. This part of the season lasts until January and includes all the postseason awards plus the two Hall of Fame votes. I’m going to take some time to voice my opinion on the awards by letting readers know both who I think will win and who I think should win. Frequently those aren’t the same people. I start with the Managers. Let me remind you that all awards voting is done before the playoffs begin so nothing that happens in the playoffs can affect the awards. AL–I presume Buck Showalter will win. The Orioles hadn’t won in the 21st Century, lost one of their best players (Nick Markakis), battled the Yankees with their overwhelming salary advantage, and made the playoffs as a wildcard team. That’s worthy of Manager of the Year in the American League. But let me remind you about Oakland and Bob Melvin. The Athletics last made the playoffs in 2006, then wandered through a wasteland with one semi-winning season (2010 when they finished at exactly .500). They hired Melvin with about 100 games left (actually 99) in 2011 and this year they won the AL West. In doing so they put up the second best record in the AL (one game better than Baltimore, one game less than New York. They also had to take on the reigning AL champion (Texas) and won the head-to-head matchup that propelled them to the division title (remember Baltimore won a wild card, not a division). I think Showalter will win, but I wouldn’t be upset if Melvin (my choice) won the award. NL–I presume this is Davey Johnson’s award. He took a team that had never won a thing, led it to the best record in baseball, had to put up with the Strasburg circus, and still found a way to win. Certainly nothing wrong with those credentials and ultimately I’d probably vote for him, but take a look at the following candidates. Bruce Bochy saw his ace, a two-time Cy Young winner, fall apart, replaced him with pitchers who were over the hill (Zito), or had twenty total wins going into the season (Bumgarner), or whose claim to fame was that he was pretty good in Japan (Vogelsong) and had only one decent year in the US. Then he has a team that finishes dead last in power (only two players available for the Series had double figure home runs). Finally, his best player and All Star game MVP (Cabrera) is banned for 50 games. The result of all this is a first place finish. Also take a look at Mike Matheny. I know he manages the reigning World Champions, but it’s not the same team as last season. Three quarters of his infield is new. Pujols is gone replaced by Craig who isn’t a first baseman, Furcal goes down and is replaced by a rookie, Descalso has moved from third to second (but at least is still in the infield), Craig is on outfielder moved to third. That’s messing with half the starters. Top that off with losing his ace (Carpenter) and still the Cards made the playoffs. Not bad for a rookie manager. I think that Showalter and Johnson will win and if they do they won’t be bad choices, but don’t forget the others. They deserve a lot of credit for the success of their team. With the Giants up in the World Series, this seems like a good time to talk about the history of the team. It goes back to the 1880s, although almost no one knows anything that happened in Giants baseball prior to John McGraw. So let me introduce you to Jim Mutrie. Mutrie was born in Massachusetts in 1851. He worked for his father, attended school, and played cricket. The latter got him interested in baseball. By 1867 he was catching for local clubs and making his name as a leading sportsman of the region. Besides proficiency in baseball and cricket he was known as a champion cycler (this is the old bicycle that had the giant wheel in the front and a small one at back) and won some distance races on the bicycle, including a 50 mile distance race in 1879. But baseball was where the money was and Mutrie was good enough to make it onto some minor league teams in the area. By 1880 he had quit as a player and was managing the Brockton team. Baseball in New York City had fallen on bad times. One of the great cradles of Paleolithic baseball, New York hadn’t had a Major League team since just after the founding of the National League when the Mutuals were tossed out of the league for failing to make a late season Western (read Chicago) swing. Brooklyn, another hotbed of early baseball also was without a team, the Dodgers (originally called the Atlantics after a famous 1850s-60s team) weren’t formed until 1884. Mutrie saw the need and potential for a Major League team in New York. He got in contact with John B. Day, a successful tobacconist (the stories of how they met vary), convinced Day to invest in a baseball team, and found a suitable area to build a stadium, the initial Polo Grounds (not to be confused with the more famous one in Queens). He recruited players, named the team the New York Metropolitans (Mets) and joined the Eastern Championship Alliance (a minor league). They won championships in both 1881 and 1882, earning them an invitation to join the newly formed American Association (a new Major League). The team accepted and Major League baseball was back in New York in 1883. And it was back in a big way. Not only did the Metropolitans join the Association, but Day formed a new team called the Gothams and managed to get them into the National League. So from having no teams between 1877 and 1882, New York now had a team in both Major Leagues. The Mets won a pennant in 1884. That allowed them to participate in the first primitive World Series against the National League’s Providence Greys. It was a three game series with Providence winning all three games. But the Gothams made more money, had more panache, and finished fourth. Day approached Mutrie about changing teams, Mutrie agreed, and in 1885 he became manager of the New York Gothams. He brought with him Tim Keefe, the Mets best pitcher. It began a steady rise for the Gothams. By the end of the 1885 season they had a second place finish and a new nickname, the Giants. There is some debate about the origin of the name. We know that P.J. Donohue, a reporter for the New York World used the term “Giants” in an article on 14 April 1885. Later Mutrie claimed that he’d refered to his team as “My big fellas, my Giants” to Donohue and thus deserved credit for the name. Donohue never commented one way or the other as far as I can tell. This brings up an issue when dealing with Mutrie. His nickname was “Truthful James”, but it was meant in the same ironic way that a 6′ 6″ 250 pound linebacker is called “Tiny.” Apparently Mutrie liked to brag, to take credit for things whether he did them or not, and inflate his importance, and let his stories improve with age (He’d make a great “booster” in the town where I live). So you should take his assertion about the “Giants” nickname with something less than 100% confidence. Whatever Mutrie’s veracity, his team was good. They won pennants in 1888 and 1889, then swept to “World Series” wins in both seasons. It was a great team, one of the best of the 19th Century. 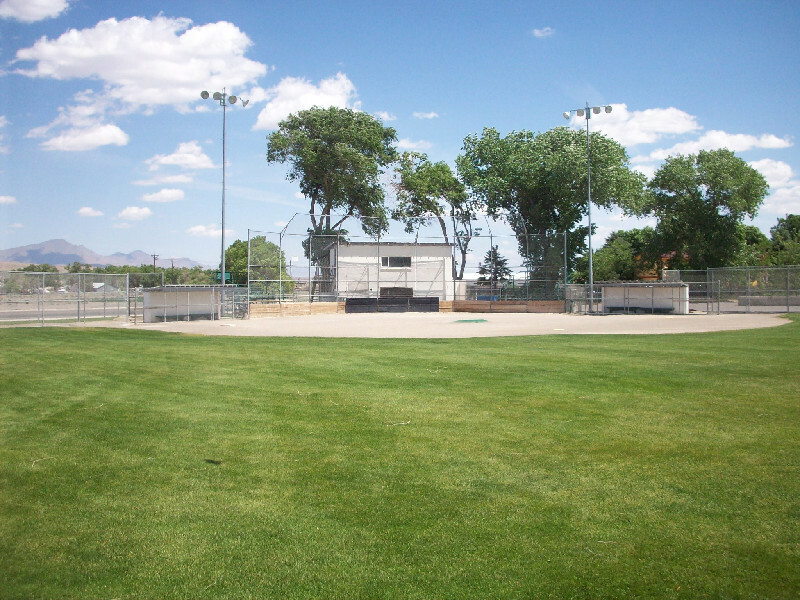 Hall of Famers Roger Connor, Monte Ward, Jim O’Rourke, and Buck Ewing played in the field. Keefe and Mickey Welch, both Hall of Fame members anchored the pitching staff. Mike Tiernan and George Gore also played for the team and were household names in the era. But all was not well with the team. The Brotherhood of Professional Base Ball Players was heavily represented on the team (Ward was the Brotherhood founder and leader). 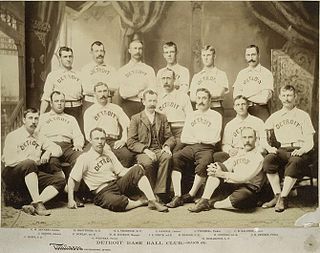 In 1890, fed up with low salaries and contract restrictions, the Brotherhood formed its own league (the Player’s League). It devastated the Giants. Of the 1889 starting fielders, only Tiernan remained with the team. Keefe also left the team, although Welch remained. The team finished in sixth at 63-68 (the only losing season in Mutrie’s career). They got back to third in 1891, but the team was in trouble. Day was broke and sold the team. Wanting a fresh start, the new ownership fired Mutrie. For Mutrie it was the end. He never got back to the Major Leagues. He moved to Staten Island with his wife and daughter, survived doing odd jobs, and was largely forgotten. The Giants had an occasional reunion of the old teams and Mutrie was there. They eventually gave him a small pension, but he was never associated with the team again. He died on Staten Island in relative obscurity in 1938. For his career, Mutrie won three pennants, two “World Series”, and finished with a losing record once. 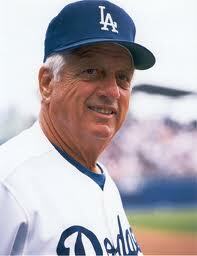 He managed nine years, won 658 games, lost 419, and ended with a winning percentage of .611. Know how many managers with 200 games have a better winning percentage? One, Joe McCarthy (.615) of the 1930s-1940s Yankees. You’d think that would get people’s attention, wouldn’t you? You’d be wrong. Mutrie has had almost no support for the Hall of Fame. Jim Mutrie is one of those guys that early baseball seems to run across with frequency. Part showman, part genius, part fool. We’ve lost something with the modern ballplayer and manager. We’ve lost the Mutrie “character”. Ain’t that kind of a shame? So it’s the Giants, is it? They’ve had a long and distinguished history. Interestingly enough they’ve never played Detroit in the postseason. Of all the original American League teams from 1901 the Giants have played each except for Detroit and the team now in Baltimore (via Milwaukee and St. Louis). How have they done? Frankly, the Giants have, as a rule, been a disappointment in postseason play (I reference here only the 20th and 21st Century teams, not the successful 19th Century team.). In 1904 they won a pennant then refused to play Boston in the World Series. In 1905, under great public pressure, they changed their mind and bested Philadelphia in five games. It was their last win until the 1920s. They made the World Series each year from 1911 through 1913 and proceeded to lose all three. They lost again in 1917, going 0 for 4 for the teens. They did better in the 1920s. From 1921 through 1924 they won consecutive National League pennants. In World Series play they beat the Yankees in the first two “Subway Series” in 1921 and 1922. Then they lost to the Yanks in 1923 and to Walter Johnson and the Senators in 1924. That was it for John McGraw’s tenure as manager. In the 1930s they got back to the World Series on three occasions: 1933, 1936, and 1937. They won the first (against Washington), then dropped two Subway Series to Lou Gehrig’s Yankees. For the 1940s they did nothing. The decade was doubly painful because they saw their status as New York’s premier NL team be eclipsed by the Dodgers. In 1951 they won the most famous of all playoff games and finally got back to the World Series. I’ve always been amazed at the number of people who think that either Bobby Thomson’s home run won the World Series, or that the Giants went on to coast to a World Series victory. They didn’t as the Giants hashed the Series in six games. They were back again in 1954 when they pulled off one of the great upsets ever by knocking off the 111 game winning Indians in four games. And that was it for the New York version of the Giants. In 1958 they headed for San Francisco. They won the pennant in 1962 and faced the Yankees in a “Jetliner Series”. They lost in seven games on a smoking line drive by Willie McCovey that Bobby Richardson speared (The ball was hit so hard I always wondered if it dislocated Richardson’s shoulder). And then they went into hibernation. For the rest of the 1960s, most of the 1970s (one playoff appearance that they lost), and the 1980s they were dismal. In 1989 they made a second San Francisco World Series losing the “Bay Area Classic” to Oakland in four games (interrupted by an earthquake). Then it was back to the boondocks until 2002. They won the NL pennant that year, had the Angels on the ropes in game six of the World Series, and managed to hash another playoff run. That finally changed in 2010 when they blew Texas out of the Series and claimed their first championship in San Francisco. So it’s a very mixed bag if you’re a Giants fan. You lose more than you win, but your wins are as glorious as they are for any other team. And like Detroit, you can put together a heck of a team. Here’s a sample of what they Giants could put in the field over the years: an oufield of Mel Ott, Willie Mays, and Barry Bonds (before his head got big); an infield of Willie McCovey, Frankie Frisch, Al Dark, and Matt Williams; and Roger Bresnahan behind the plate. And the pitching? Try this staff without leaving the letter “M”: Christy Mathewson, Joe McGinnity, Rube Marquard, Sal Maglie, Juan Marichal. And of course that leaves out Carl Hubbell and company. They’ve even got a great pair of managers in John McGraw and Leo Durocher. Not bad, right? So good luck to the Giants (You have any idea how hard that is for a Dodgers fan to type?). Win or lose I hope they play well. Most importantly, I hope it’s a great Series. I wanted to comment on the team playoff history of the National League representative to this season’s World Series but the Cardinals and Giants are making it exceedingly difficult for me to do so. They are, however, having a heck of a series. So I’ve decided to write about Detroit baseball before the Tigers. In 1881 Major League baseball came to Detroit. The Wolverines played in the National League and were reasonably good for much of their history. They finished fourth and fifth in 1881 and 1882, then slid back from 1883 through 1885 never finishing higher than sixth. It was too much for the owner. In 1886 he went out and bought a team (George Steinbrenner would be pleased). What he did was to lure away a number of the stars of the era by offering big salaries (for the era) and a multi-year contract. In doing so he put together one of the better teams of the 19th Century. Although these names may be meaningless to you, in the 1880s they were household names among baseball fans. There was Hall of Famer Dan Brouthers at first, Fred Dunlap and Jack Rowe up the middle of the infield, and Deacon White (who should be in the Hall of Fame) at third. The outfield consisted of Hardy Richardson (a borderline HoF candidate) and Hall of Famers Sam Thompson and Ned Hanlon (although Hanlon is in the Hall as a manager). Charlie Bennett (who later had the Detroit stadium named for him) was the catcher and the mainstays of the staff were Lady Baldwin and Pretzels Getzien (God, they don’t make nicknames like they used to). They finished second in 1886, 2.5 games behind Chicago, then roared to a pennant in 1887 with Charlie Ganzel replacing Bennett as the primary catcher. There was a postseason series in the 1880s (a sort of primitive World Series) played between the National League champion (Detroit) and the winner of the American Association (St. Louis Browns–now the Cardinals). The teams were allowed to pick the number of games in the postseason and the two teams settled on an all-time high of 15 games with all 15 being played regardless of who got to 8 first. Detroit won 10 games and brought the first World’s Championship to the city. It was a short-lived triumph. You see the team was expensive to maintain and no matter how well they did, they just couldn’t turn a profit. With Dunlap going to Pittsburgh (Richardson replaced him at second), White turning 40, and Thompson having a down year they finished 5th. It was too much and the team folded at the end of the season. 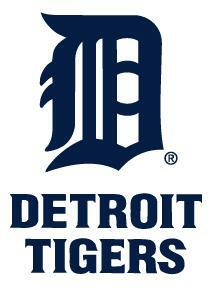 It was the last Major League team in Detroit until the Tigers were formed in 1901. So Detroit has a long history of Major League play. Not just the Tigers have been successful. The team that came before had one great run. Thought you ought to know. Without question the Detroit Tigers are the most unsung of the four teams that made it to the League Championship Series. The Yankees have won with great regularity. The Cardinals are reigning World Champs and the most successful National League team. 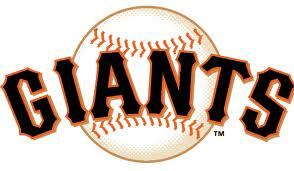 The Giants are one of the most storied of NL franchises, particularly between 1885 and 1965. But Detroit? For most of its history Detroit has been a run of the mill member of the American League. The announcers last night spent a lot of time reminding us that this will be Detroit’s 11th World Series (out of 107). They managed to win four of them (1935, 1945, 1968, and 1984) losing the other (1907-09, 1934, 1940, and 2006). They’ve been sporadically good, note how their championships tended to clump prior to 1946, but mostly they’ve been also rans. That’s really kind of a shame. The Tigers have produced a pretty fair set of players over the 112 seasons they’ve played. Take a look at this outfield: Ty Cobb, Sam Crawford, Al Kaline. Then add in this infield: Hank Greenberg, Charley Gehringer, Alan Trammel, George Kell. Toss in Bill Freehan behind the plate and Harry Heilman DHing and you’ve got a pretty good set of hitters. The pitching isn’t as stout, but Hal Newhouser, Jack Morris, Dizzy Trout, Frank Lary, Mickey Lolich, Denny McLain, and Justin Verlander make a nice set of mound men. You’d think a team with this kind of talent (and I left out guys like Norm Cash and Willie Horton) would be better known. So good luck to the Tigers whoever they play. If it’s St. Louis, it will be the fourth time (the Cards lead 2-1). If it’s the Giants, it will be the first time the two franchises have squared off. May it be a great Series and may Detroit play well, win or lose. So far I’ve said little about Miguel Cabrera’s Triple Crown. I tend to worry more about old-time baseball than about the current season, but congratulations are certainly in order. With Detroit still alive in the playoffs he has a chance to do something that’s only been done twice. Over the years a hitting Triple Crown has been accomplished 16 times. Only twice has the Triple Crown winners team also won the World Series. Here’s a quick review of each Triple Crown winner and where his team finished. 1878–Paul Hines won the Triple Crown for Providence. They finished third in the National League. 1887–Tip O’Neill won the Triple Crown for St. Louis of the American Association (a major league at the time). The team finished first and played a 15 game postseason series against Detroit of the National League (sort of a primitive World Series). They lost 10 games to 5. 1901–Napoleon LaJoie won the Triple Crown for the Philadelphia Athletics. They finished fourth in the fledgling American League. 1909–Ty Cobb won the Triple Crown at Detroit. The Tigers dropped the World Series to Pittsburgh in seven games. 1922 and 1925–Rogers Hornsby won the Triple Crown while with St. Louis. The Cardinals finished third in 1922 and fourth in 1925. Hornsby became the only player to win a Triple Crown and hit .400 in the same season. He did it both times. 1933–both leagues had a Triple Crown winner (only time that’s happened). 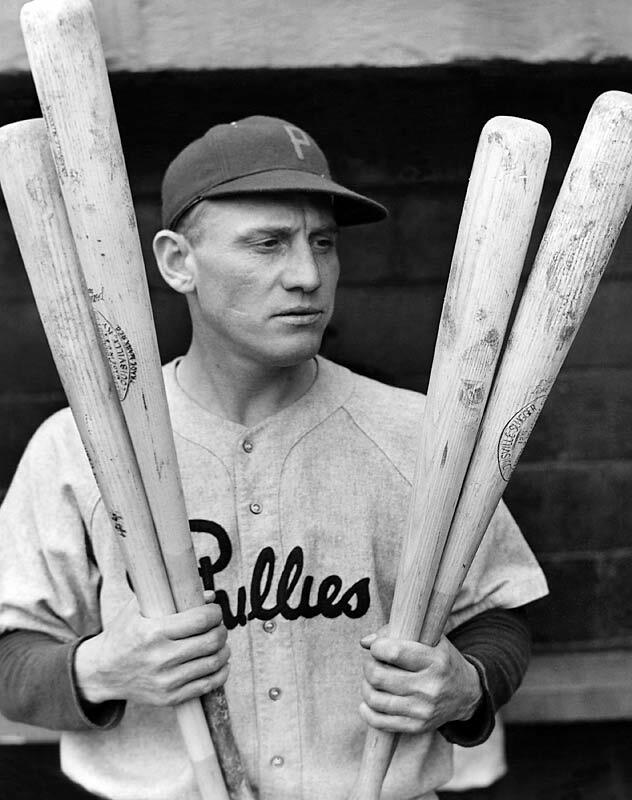 Chuck Klein won the NL Triple Crown for the seventh place Phillies, while Jimmie Foxx won the AL Triple Crown for the third place Athletics. As a bit of trivia, both Triple Crown winners played in Philadelphia. 1934–Lou Gehrig won the Triple Crown in one of the few years the Yankees didn’t finish first. They finished second. 1937–Joe Medwick won the last NL Triple Crown for the Cardinals. They rewarded him with a fourth place finish. 1942 and 1947–Ted Williams won the Triple Crown in both seasons. His Boston team finished second in ’42 and third in ’47. 1956–Mickey Mantle became the second Yankee Triple Crown winner and first Triple Crown winner to have his team (the Yankees) win the World Series. 1966–Frank Robinson became the second (with Baltimore). 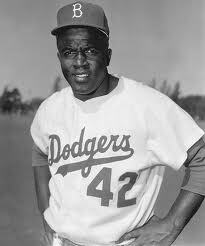 Robinson also became the first (and so far only) black player to win a Triple Crown. 1967 –Carl Yastrzemski won the Triple Crown with Boston, but the Red Sox lost the World Series in seven games to the Cardinals. Pitching Triple Crown winners are both more common and have won more frequently. 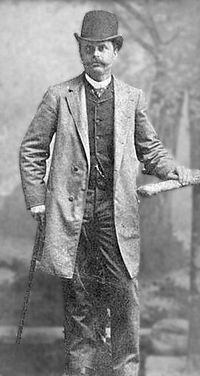 Here’s a list of the pitchers who won both the pitching Triple Crown and the World Series (1800s version or modern version): Tommy Bond in 1877 (there was no postseason play that season but Bond’s Boston team took first place in the regular season), Charles Radbourne in 1884, Tim Keefe in 1888, Christy Mathewson in 1905, Walter Johnson in 1924, Lefty Grove in 1930, Lefty Gomez in 1937, Hal Newhouser in 1945, Sandy Koufax in both 1963 and 1965. All that indicates that winning a Triple Crown (either variety) is no predictor of success in the postseason. Still, I think I’d rather win one than not. Last evening, Jose Valverde had a bad night. Actually he’s had a couple in a row and hasn’t been overly effective the entire season. What Jim Leyland does with him for the rest of the playoffs is unknown to me and last I checked Leyland wasn’t asking for my advice (Dump him, Jimmy). But I can empathize with Valverde. I’ve had bad days too. Way back when I was in Little League baseball, they played it a bit differently. OK, they still used bats and ball, but the way the leagues were put together was different. Once you were on a team, you were there as long as you were eligible to play at the age level. There was no switching teams every year. That was good if you were on a decent team, bad if you were with a bunch of losers. Also you had four years at a particular age level instead of the current two years. The levels where I grew up were 6 year olds played t-ball, 7-10 were the next level, and 11-14 were the old guys. Basically, you spent the first year on a team as a scrub unless you were very good, started getting significant playing time your second season, then did most of the starting your last two years. Me? I could run and could catch most balls so I spent the first two seasons of the 11-14 league as the center fielder. Then it was over to first base for the final two years. I was usually the leadoff hitter. I was quick enough, but mostly I had a good batting eye. I almost never struck out, had a good on base percentage (which is a stat I’d never heard about), and could swipe second and third with the best of them. We did well, coming in second or first all four years. But there was this one day I had my Valverde moment. I was 12, we were the visitors, and I led off sure I could get on base against this kid who was pitching for the other team. We’d faced him before and I’d done well. I don’t remember the exact stat line, but I know I had hit off him. So up I came, Mr Confident. He tossed three balls right over the plate, I took one for a strike and swung and missed the other two. Out one. OK, it wasn’t a great way to start a game, but I would have other chances. The problem was that for the next eight batters I was the only out. My teammates smoked the guy. We got six runs off him. So there were two men on base when I came up again. Here was the first of the other chances and by God, I wasn’t going to go down on strikes this time. So I swung at the first pitch, knocked it on a line right back to the pitcher for out number two. Fortunately the two guys on base were alert and neither was doubled up to end the inning. Well, that was bad, but the inning was still alive. So my teammates teed off again, plating 8 more runs. With a runner on first, here I came again, your number one first class designated rally killer. The first pitch was a swinging strike. It was over for me. I took the next two, not really looking at them. So the inning ended with 14 runs, a ton of hits, a few walks, an error or two, and three outs by the leadoff hitter, me. I ended up back in the dugout. I have no memory of actually walking over there, but my guess is I wasn’t carried. My coach? He was a genius. He immediately pulled me from the game. I was in such shock that I was of no use in either the field or at bat (at least the latter was sure). Odds are I would have stood in center field in utter shock and let God knows how many balls go over my head, to my left, or to my right without even moving. So I sat in the dugout for the rest of the game not really paying attention (we won on a mercy rule in four innings, I think). I was absolutely and completely sure that my world had just ended. I got over it. We had a good season (finishing second), I continued to leadoff and never again made two, let alone three, outs in the same inning for the rest of the season. And more importantly, it didn’t hurt me. I grew up, got married to a wonderful woman, had a son, have grandchildren, and have frankly had a pretty successful life, even if I did make all three outs in one inning. By the time my son started Little League they had changed the rule, limiting each team to a maximum of five runs per inning (it was a local rule, not a Little League sanctioned rule) which meant you could have a maximum of 10 batters an inning (five runs, three men on, two outs or four runs, three men on, three outs). That meant out of nine batters no one could make more than two outs in an inning. I used my three outs in one inning to remind players that they couldn’t, no matter how hard they tried, do worse in an inning than I did. It seemed to help some of them. It certainly got a few good giggles. So if you’re ever coaching Little League (or managing Jose Valverde in the Majors) and one of your players screw up royally, feel free to use my story. Maybe it’ll help some kid. At least it should get you some laughs. Back when my son was still pre-kindergarten we began a tradition. We had these magnets for all the teams in MLB and when the postseason started, we’d place the magnets for all the teams in the playoffs on the fridge then move the winner one spot over to show who was leading. When a team won its series we’d remove the loser and replace the winner at the edge of the fridge. We’d keep doing this until there were 2 teams left, then we’d do the same thing until a World Series winner was crowned. Then we’d retire the magnets until next season. My son is long gone from home now, but in his honor I still keep up the tradition. I haven’t updated the magnets, so when Washington won its division I was at a loss for a magnet. So I used the Expos magnet to represent Washington (after all they had once been in Montreal). It marks the first time I’ve used the Expos magnet, because the only time Montreal made the playoffs was before my son was born and before this tradition began. The 1981 season is probably mostly remembered for the strike that wiped out a good deal of the middle of the season. But it’s also the only time Montreal played postseason games. When the strike ended, MLB leadership decided to play a “split season”. The idea was that the teams that were in first when the strike occurred (the Phillies and Dodgers in the National League) would be declared first half winners and the teams that did best after the strike would be declared second half winners. The Astros and Expos won the second half in the NL (while St. Louis had the best overall record in the NL East and Cincinnati the best record in the NL West, both missed the playoffs). Then the two division winners would face each other with the two champions fighting it out for the pennant. It was the only Expos team to win a division title. Here’s a quick look at the starters. Warren Cromartie, Rodney Scott, Chris Speier, and Larry Parrish held down the infield first around to third. The outfield had Tim Raines, Hall of Famer Andre Dawson (before he got lost in the Wrigley Field ivy), and Tim Wallach from left to right. Hall of Fame catcher Gary Carter backstopped, and Steve Rogers, Bill Gullickson, Scott Sanderson, and Ray Burris all started 20 or more games. The closer was Jeff Reardon (although Woddy Fryman had more saves). Terry Francona (yes, that Terry Francona) was a rookie and the fourth outfielder. Dawson finished second in home runs (and led the league in being hit by a pitch with 7) and Raines won the stolen base crown. They took on Philadelphia in a best of five first round. After winning two in Montreal, they dropped the next two in Philly. In game five (also in Philly), Rogers outdueled Steve Carlton and Montreal won its first ever playoff series. 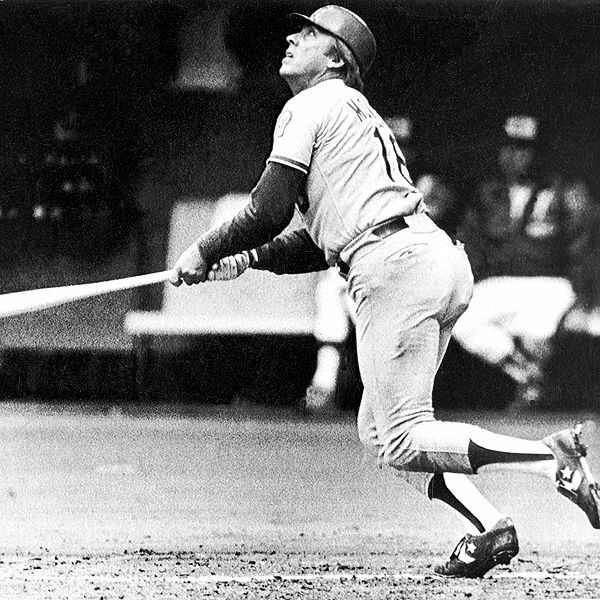 Gary Carter was the hitting star with two home runs and a .431 average. On the other side of the bracket, Los Angeles beat Houston and the NLCS (a best of five that year) was set. The first two games were at Dodger Stadium. LA won game one, but Montreal came back to earn a split. With the final three games in Montreal, the series became a best of three. Montreal won game three and LA took game four, making it one game for the pennant. It turned out to be a classic. The Dodgers sent young phenom Fernando Valenzuela (remember him?) to the mound against Ray Burris. The Expos picked up a run in the first on a Raines double, a Scott sacrifie bunt, then a Dawson ground out plated Raines. The score held until the top of the fifth when Rick Monday led off with a single, went to third on another single, and, like Raines, came home on a ground out. That tied the game and ended the scoring through eight innings. Valenzuela was terrific. He gave up three hits, one walk, one earned run, and had six strikeouts through eight. Burris was equally good, giving up five hits, one walk, one earned run, and striking out one through eight. But in the bottom of the eighth, the Expos pinch hit for Burris. That brought ace Rogers in to pitch the ninth. He got the first two men out, which brought up Monday, the man who’d scored the only Dodgers run. On a 3-1 count, Monday launched a home run into the right field stands, putting LA ahead with three outs to go (It’s still known as the “Blue Monday” homer in Montreal.). Valenzuela got two of them, then walked consecutive batters. In came Bob Welch. He induced a second to first ground out to end the game, send the Dodgers to the World Series (which they won), and ending Montreal’s run. They never got back to the playoffs. In 1994 they were in first place when the strike wiped out the rest of the season, including the World Series. So they finished first that year, but there was no postseason. In 2005, they moved to Washington and made the playoffs this season for the second time in franchise history. So whatever happens over the next three games, the Expos franchise has finally won for a second time. … and last in the American League” (an old joke about the Washington Senators). Something happened yesterday that I’d never seen. A baseball team from Washington participated in a postseason game. Actually two things happened that I’d never seen. The second? A baseball team from Washington won a postseason game. It’s unusual to see but it’s typical for the nation’s capital. You see, they’ve generally had a woeful franchise. In 1901 the American League sent a franchise to Washington. They finished sixth. They stayed awful until 1912 when a pitcher named Walter Johnson hit his stride. They finally made a postseason in 1924, winning the World Series. They got back to the Series in 1925 and in 1933. They lost both. For the rest of their time in DC they finished in the first division four times. In 1961 they left Washington for Minnesota, where they’ve had sporadic luck. Like the team in DC, they’ve been to three World Series (1967, 1987, 1991) and managed to win twice (’87 and ’91). They’ve had a handful of other playoff appearances. So the franchise has done better in Minnesota than in Washington. Baseball thought it was a good thing to have a team in DC, so when the Senators became the Twins, the powers that be stuck a new team in Washington and cleverly named it the Senators also. Well, it worked about as well as the old team (maybe it’s just that the baseball Gods don’t like the name “Senators”). They were so awful they only lasted a little over ten years before fleeing to Texas. As the Rangers they’ve made the playoffs a handful of times and managed to lose in the World Series twice. So again they’ve done better in Dallas than DC. And now there’s a new team in Washington and it’s done something that hasn’t been done in 79 years. Son of a gun. And BTW Ryan Mattheus becomes the first Washington pitcher since Walter Johnson to win a postseason game on the road. You are currently browsing the Verdun2's Blog blog archives for October, 2012.